Indulge yourself or someone you care about with this collection of luxurious chocolates. 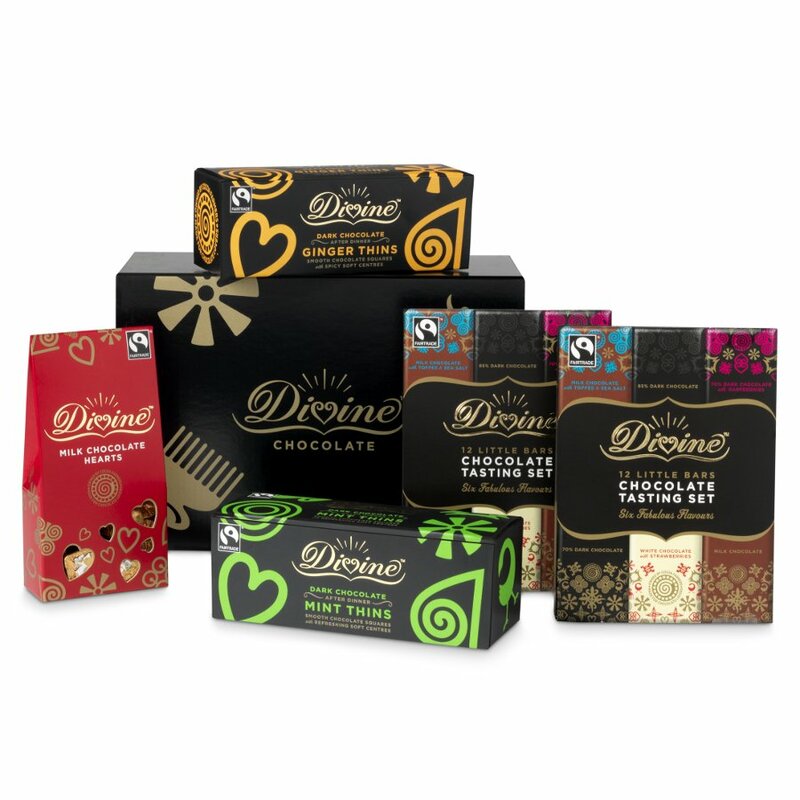 Grouped together with two Divine tasting sets, you can introduce your friends and family to the delicious world of Divine; 6 fabulous flavours in 12 little bars with a guide to tasting chocolate. You also receive a box of tasty Divine Milk Chocolate hearts; perfect for sharing with someone you love. 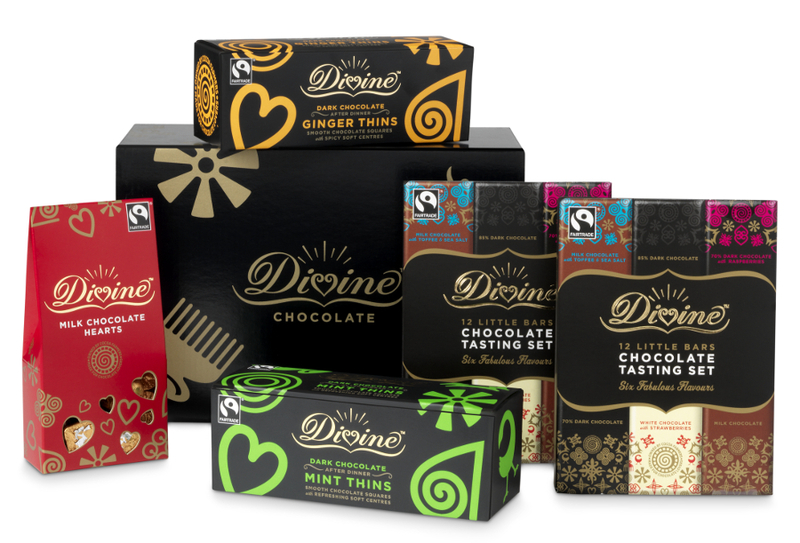 Plus, the Divine dark chocolate thins – in mint and in ginger – work as a great after-dinner treat. 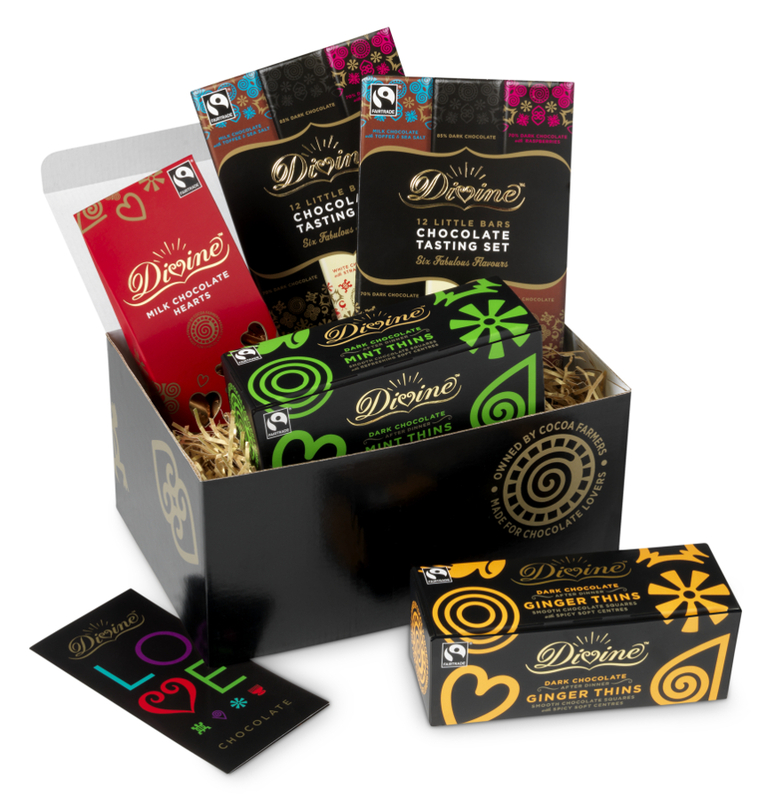 Give the gift of high-quality Divine Fairtrade chocolate with this luxurious gift box. 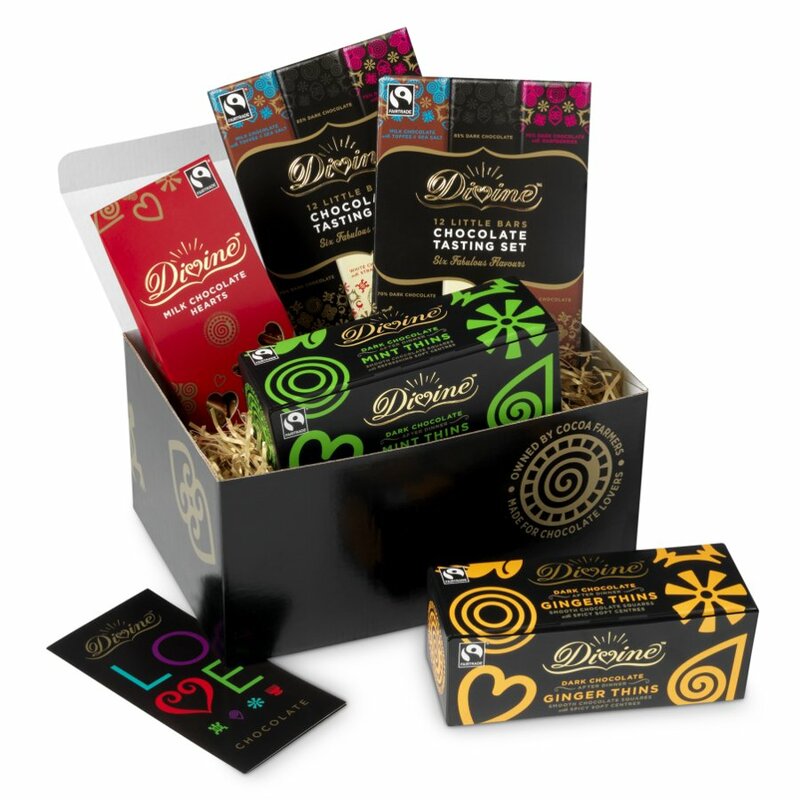 There are currently no questions to display about Divine Luxury Chocolate Hamper.